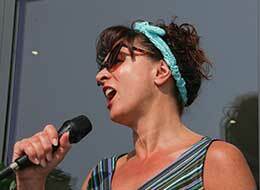 Kerry Le Bern is a jazz and vintage singer from West Sussex. Kerry performs as a solo artist or with her saxophonist as a jazz duo throughout Hampshire, Sussex, Surrey and the South East. Whether you are booking Kerry for your wedding, birthday party or corporate event, Kerry’s entertainment is sure to be memorable. 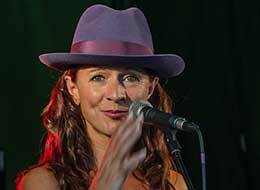 Kerry has a sultry jazz style, with a smoky sensual voice which has been likened to that of Diana Krall. Her main influences are the great jazz divas of their time: Ella Fitzgerald, Sarah Vaughan, Peggy Lee and Julie London. However Kerry also relishes re-creating the vintage sounds of Doris Day, Patsy Cline, Brenda Lee and Connie Francis. To introduce a more contemporary vibe to her repertoire, Kerry covers the music of jazz/popular artistes such as Madeleine Peyroux, Caro Emerald and Imelda May. 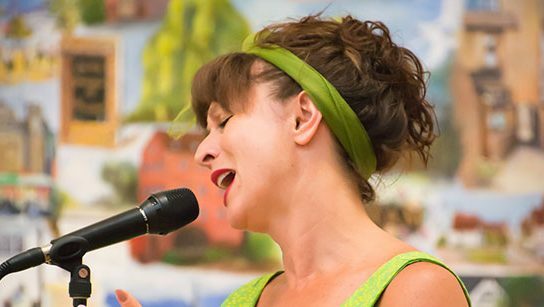 As a unique offering, Kerry can bring a touch of the ‘femme chanteuse’ to your wedding, party or corporate event with her inspiring French jazz set. 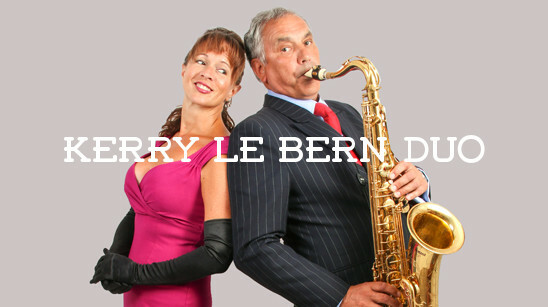 Combining her love of the French language with her love of the jazz genre means that Kerry will treat you and your guests to something rather special for your event. Click here to listen to Kerry perform and read more about her influences. Kerry’s background is steeped in musical theatre having played principal roles in many musicals such as Carousel, Return to the Forbidden Planet, The Pirates of Penzance and Calamity Jane, to name but a few. This musical theatre background has a clear influence in Kerry’s repertoire today as many of the jazz standards which she sings were originally written for musicals, in addition to which Kerry also likes to delight her audiences by peppering her repertoire with some of those brilliant and well-known musical numbers such as ‘Hello Dolly’ and ‘Caberet’. Since launching her own jazz career Kerry has performed at venues and events across the length and breadth of the UK as well as further afield in Europe. Kerry’s act is fully self-contained, she has her own PAT tested PA and can provide the entire music for your event. She is based in West Sussex but is willing to travel to your event as required. So if you are looking for that unmissable combination of beautiful singing and a fun personality to make your event go with a swing, then click here to book now. You can be assured that Kerry will tailor her performance to suit the occasion, making it the keystone to your event. Her love of music will flow through every note as she brings her unique magic to bear. Thank you so much for supplying the music for our wedding/garden party. We had an amazing day with our family, the day after our son's wedding, the sun shone - and to have such wonderful live music was very special. Thank you for supplying the glamour and lovely music for Peter's special birthday last night. Everyone thought you were wonderful. Not every man gets to celebrate the event being serenading by a beautiful women singing his favourite songs -he certainly won't forget the experience and all the fun involved! It made the evening really special for all of us. Just wanted to say at BIG thank you making my special day a superb evening. You made the arranging so easy, and made me feel I could leave everything to you, so I could enjoy the evening. Everyone said how fabulous you were. For finding and arranging my 'special' song again thank you. Kerry, what can I say, you were GREAT. Many thanks once again. Best wishes for the future and we hope to hear you again sometime. When we planned last spring a French themed evening, “April in Paris”, at The Deck Café we wanted something to elevate the atmosphere of the evening beyond our bistro styled décor and the classic French cuisine. Kerry provided that dimension with her superb collection of French Jazz Classics, a balanced and very special programme beautifully sung. 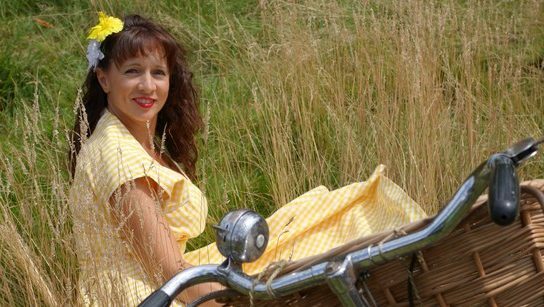 Since then Kerry has proved her versatility with vintage vocal entertainment for the Deck Café “on Tour” and at private functions at the Deck. Her blend of classic nostalgia and contemporary music from artists like Caro Emerald, upbeat and mellow, all delivered with Kerry’s engaging personality ensures memorable entertainment and a very special ambiance. Thank you so much for making Alistair's birthday party so special. You were a pleasure to make arrangements with, your intuition with the song choices ensured the evening ran beautifully and had us dancing, and we really enjoyed listening to you and having you with us. 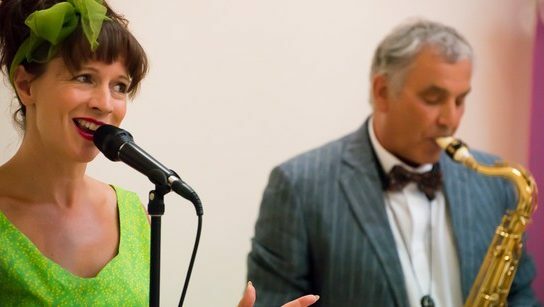 Kerry sang at our wedding last weekend and was simply amazing. Everyone has commented on what a beautiful voice you have and how much they enjoyed listening to you. The songs you sang during the BBQ really set the tone for what turned into an amazing evening.It’s been a huge compliment that many of our guests have said they would have loved their weddings to be like ours. It was a perfect day and we cannot thank you enough for everything you did for us. You were a pleasure to work with and a joy to listen to. Thank you again so much for supporting our Strictly Vintage Tea Dance. It was so kind of you and Dave to give your free time to perform at the event and we really appreciate your support. Please do extend my thanks to Dave too.I had seen you before and knew what a treat we were in for, but many of the other staff/volunteers and guests were blown away. The ‘Jazz Break’ as some of the guests have referred to, was absolutely wonderful. A really good performance, so much so that I noticed several of our guests didn't want a break and in fact carried on dancing. The set was spot on. Looking for a singer for your event? 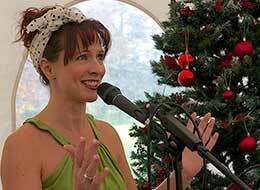 The Lady Sings’ - introducing Kerry Le Bern, a talented jazz and vintage singer. Kerry sings jazz standards by divas such as Ella Fitzgerald, Sarah Vaughan and Julie London right up to more contemporary jazz by Madeleine Peyroux and Caro Emerald.